The newly-hired IT Director at the California Community Foundation knew the organization needed a data center refresh, as its aging network’s reliance on a third-party hosting company had become too expensive and too limited. He partnered with Datalink Networks to design and engineer a new, hybrid cloud infrastructure that will scale with CCF for years to come. The California Community Foundation (CCF) has served Los Angeles County for 100 years, stewarding nearly 1,600 funds and $1.7 billion in assets to address some of the core concerns of the community. CCF sponsors a range of competitive grants to other local non-profits in arts, education, health care, and transition-aged youth and housing and economic development throughout Los Angeles County. This week, Datalink Networks, Inc. looks at how Microsoft Office 365 helps the multinational consumer products company Henkel make the workplace more effective and enable people to do their best work. 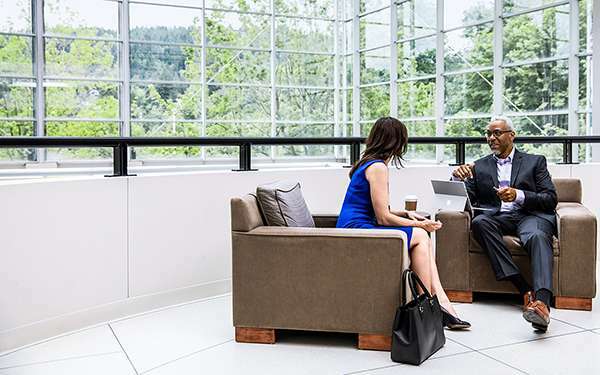 Henkel found that the improved collaboration Microsoft Office 365 offers led to a culture change for their 50,000 employees. Using OneNote, employees can share data and communicate go-to-market plans, connect with each other from anywhere in the world with Skype, analyze data from consumers in the most efficient manner with insights provided by Power BI, and simplify their IT workload and administration with consistent interfaces across applications and platforms. We recommend Microsoft Office 365 because it provides you with the tools for your own unique requirements.